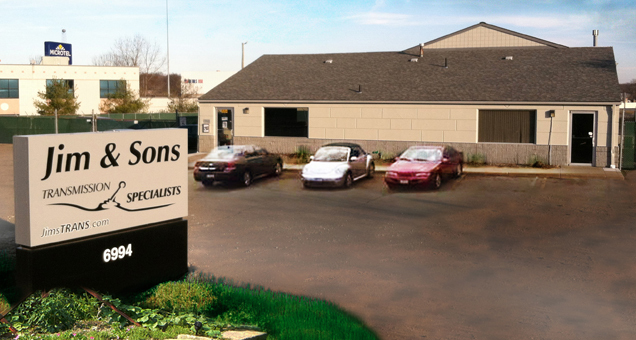 Jim & Sons is Canton's choice for quality transmission repair services. Conveniently located just off I-77 at Portage Street right next door to the Cracker Barrel restaurant. 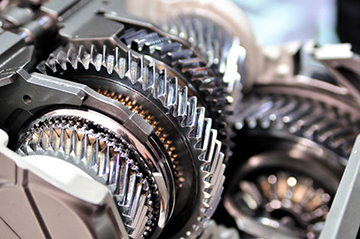 Your Car, Van, SUV or Light Truck's transmission is one of the most intricate and complex components of your vehicle. It should only be trusted in the hands of professionals who possess all the necessary training and equipment to handle your repair. Not only does Jim & Sons Transmission Repair Center possess the proper knowledge for any and all transmission services and repair needs but our technicians are certified in all required areas leaving you with peace of mind that your vehicle is in the hands of trained professionals at all times. Jim & Sons has been repairing automotive transmissions since 1958. Below is a short list or vehicle repairs and services that Jim & Sons can perform for your vehicle(s). Jim & Sons Transmissions is an official drop-off center for "Cell Phones for Soldiers" in the N.E. Ohio area. Donated used or broken cell phones are resold or sold for scrap with all proceeds helping our brave men and women overseas phone home for free! If you need transmission repairs, your first choice should be Jim & Sons Transmission Specialists of Canton, Ohio. We offer superior service on both standard and automatic transmissions and handle many related problems as well. Transmission repairs are best done by an expert in the field, and you'll find the staff at Jim & Sons to be well trained certified professionals. Contact our service team today and learn how we can have your car, light truck, SUV, van and even your 4x4 running at optimal performance. At Jim & Sons Transmission Specialists of Canton, it is our duty to ensure that our customers stay safe and that their vehicles stay dependable on the road. Our current state of the art facilities features over 6 service lifts, the latest in diagnostic and testing equipment, and has a fully equipped machine shop for torque converter rebuilding. Transmission Repairs for the Canton, Ohio area. Jim & Sons have been repairing transmissions since 1958. Over the years we have become known for our quality workmanship and honest and fair pricing. We are the "Transmission Specialists" serving the greater Canton, Ohio area. Jim & Son's Transmission Specialists invites anyone in the greater Akron and Canton Ohio area with a transmission problem to use our easy schedule form to request an appointment for service or repair at either of our shops in North Canton or Cuyahoga Falls.